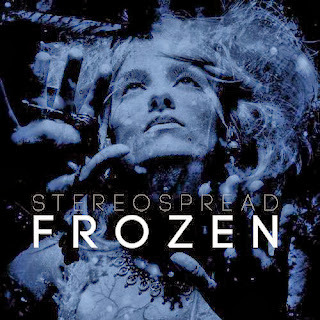 James Hopkins and Sara Snyder aka STEREOSPREAD are an American Electro Pop band, who have released their latest EP entitled 'Frozen'. It contains music that will definitely capture your attention! I experienced unique sounds on the main original song and I also enjoyed the Progessive House remixes by GrantWho, a dance-genre DJ/Producer with wide experience and whose productions are synonym of commercial success. Please, read the following review, I am a supporter of their music and want to share with you my thoughts on this fantastic EP. 1- Frozen (Original Mix) - An atmospheric piece of music, soulful vocals, and dreamy melodies perfectly made to relax mind & body. 127 BPM of pleasure! 2 - Frozen (GrantWho Remix Club Edit) This remix is intended exclusively for bars and clubs, it features strong harmony and beats, more aggresive than the original mix, and it features typical trancey sounds. 3 - Frozen (GrantWho Remix Radio Edit) Basically sounds similar as the club version. It maintains extended synthesizer washes and has been modified to be suitable for airplays! 4 - Frozen (GrantWho Remix Extended Radio Edit) One minute longer that's why it's called extended, and is simply amazing, I am hypnotized with the beautiful female vocals.